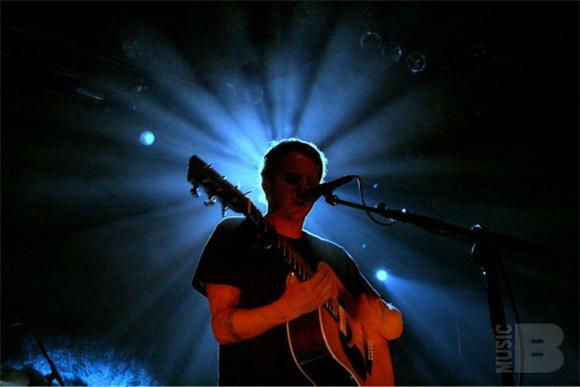 Ben Howard's show at Terminal 5, originally scheduled for the 18th, instead took place last night, on Monday the 11th. Despite the rescheduling of the event, which resulted in the venue offering refunds for the ticket holders who could not make the new date, Terminal 5 was still packed with people clamoring to see one of Great Britain's latest and greatest singer/songwriters. The NYC gig marked Ben's first show in the states since playing overseas in Denmark, Sweden, and Germany. All of that worldly experience colored the performance, and it was immediately clear that Ben had some tricks up his sleeve. Mr. Howard's live show notably vertebrates much deeper than his records do. This can be attributed to the fact that such a resonance cannot be captured in a studio setting, the place where Ben has mastered his song craft. The result is the kind of instantaneous high that can only be attained through listening to already great songs, vibrating new fashions. Much of this feeling is caused by Howard's choice of arrangement in his live instrumentation. In addition to his standard live drummer, there was the presence of a floor tom and crash cymbal on the stage that was played with mallets. This percussion provided rich texture to the essential sonic space of the songs. That section of the stage proved to be the most diverse and complementary: an upright Cello and bass guitar were added during key moments, lending to Ben whichever atmosphere he desired for his expansive vocal range. At the beginning of the night, Mr. Howard sarcastically announced how great it was to be playing during "the storm of the century" and further lamented that in the U.K, they refer to those statements as "Americanisms." Perhaps he is right to point out the American tendency to exaggerate events on a catastrophic level. Regardless, even though the snow stopped falling on Saturday, Ben Howard's chilling and ethereal set would have been fitting for storm of much greater magnitude than the one that actually occurred.